Sharp, lightweight, and responsive are just a few adjectives that describe the Canon 85mm f/1.8 USM portrait-length telephoto lens. 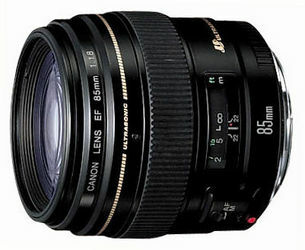 With a powerful ring-type USM and fast f/1.8 aperture, subjects zip into focus in the viewfinder. It’s great for all types of work calling for moderate telephoto power, but comes into its own in low-light situations. 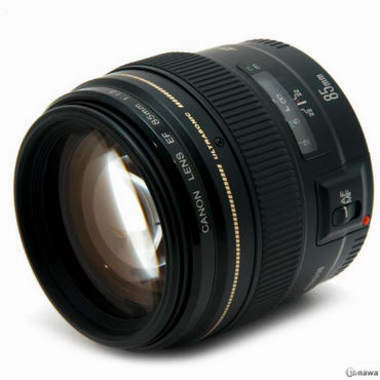 • Minimum Focusing Distance: 33.6"